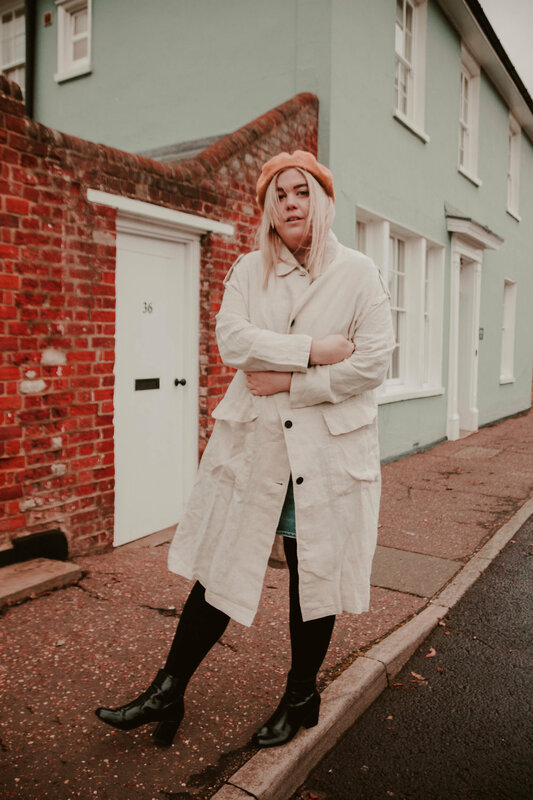 Oh blimey, she’s done an outfit post. It’s been a while since my face has been on here hasn’t it!? It’s crazy how fast this year is going but, I won’t lie it’s back to my favourite chilly season and I can promise the content will be going up. Not sure why I’m the opposite to most bloggers but, the wintery seasons see me more active on here. Anyway, It’s Sunday morning. I’m in my pyjamas with a cup of tea (my third one today) in reaching distance, sandwiched between two blankets, listening to a playlist on Spotify called ‘Coffee Table Jazz’ - my Sunday is in full swing and I couldn’t be happier. See Sunday’s have always been my favourite day, Saturday’s are so full of ‘we must get this, this and this done’ expectations, when Sunday rolls around there is no pressure. That’s what I love about them so much, having the time to do exactly what you really feel like doing - whether it’s active or not. Life recently has been busy, it’s always busy. It’s just kind of how I like it. If life ever slows down just even a little bit I tend to get a little bit ‘meh’ - unless it’s Sunday of course. Funny how one day is exempt from my strange notion of being busy, but it just is. In the last couple of months I’ve been working super hard, took an amazing trip to Edinburgh with my friends (blog post to come), shuffled the house around a few times and just generally getting around and doing things. 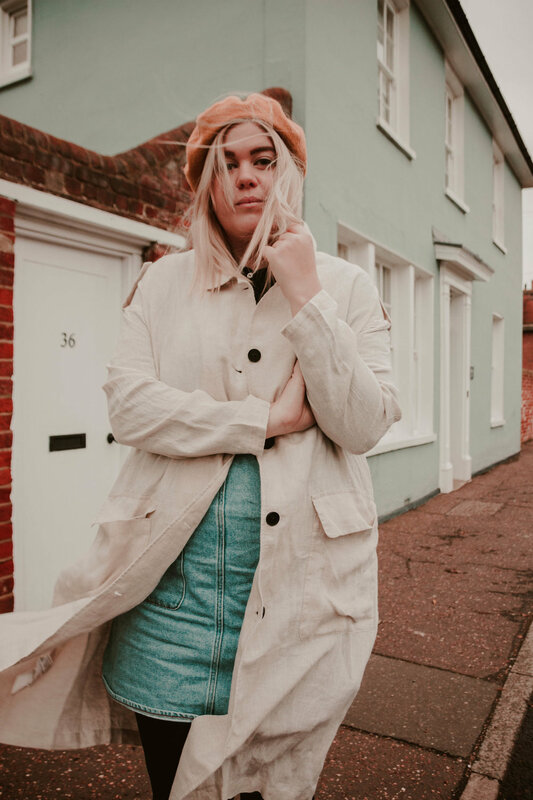 Recently it’s hit me a little bit how much I miss being active on my blog and on Instagram so I’ve been making plans to rebuild my presence. I’m just lost without my creative outlet, so for the foreseeable future I’ll be putting my chilled Sunday’s to somewhat of a use. Just recently I have been obsessed with the choice on Simply Be, from their own collection to the amazing range of brands they stock on their site also. Which includes my favourites Violetta by Mango, Monsoon and Accessorize. Finding an outfit has never been so easy when you can shop so many amazing collections in one singular place. I’ve curved my shopping down a lot this year, slowly teaching myself to invest in pieces I’ll love for a long time rather than anything too trend driven. I feel like my outfit completely encompasses this movement for me, the denim dress I bought in the summer knowing that I’d be able to wear throughout the summer and into the winter also. 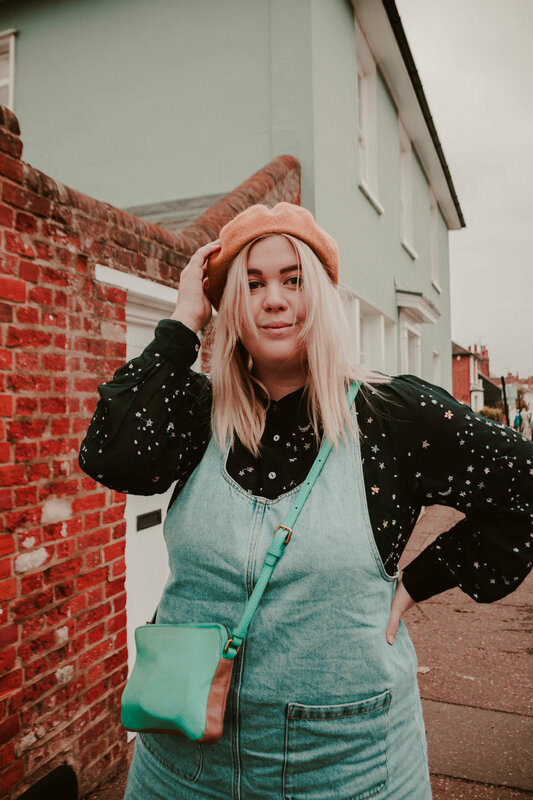 It’s a go to piece for me because it’s goes with absolutely everything in my wardrobe, allows you to wear pieces like this shirt which are a bit too thin for out and about wearing in this weather and also just allows me to wear tights which are my favourite things in the word. Yep, I’m strange. The blouse itself completely makes this outfit for me, It’s tiny embroidered details of moons and stars are quite simply my favourite kind of pattern. It’s delicate, a little different and can really be dressed up or down. I do think I may of frozen without my denim dress over the top though! Let’s talk about the trench, I love trenches. I think they are quite simply the most flattering coats to exist. Plus, they again go with pretty much anything, this Violetta by Mango one is the perfect addition to my wardrobe. It’s lightweight linen is such a gorgeous look, it may be a bit chilly going further into winter but it’s a great all year rounder. Lastly let’s talk about accessories. Beret season is back guys and I couldn’t be happier. Who needs to get your roots done with your beret nicely covers up the mess below? Couldn’t resit getting a yellow one this year, to add a little bit of sunshine to my collection of purely black and grey ones. This post is a bit here, there and everywhere but, I quite simply fancied a chat. Which I think I’ll be doing more of on here. Life can be so busy but I’m going to really try and make time to post a little bit more, most likely on Sundays. Anyway, the rest of my day is going to be spent in the most chill of ways. I have just started reading a new book which has been highly recommended - A Little Life by Hanya Yanagihara. It’s an intense read but so well written, so I’m going to get through a little of that. Move my records onto my new record stand, shuffle my bar cart around to fit on new gin and probably take the longest bath because there’s certainly a chill in the air today. Hope you have an chilled Sunday planned also! Your weekly dose of slow! If you liked this post, you might like these!